In case you haven’t heard by now, I like fashion. 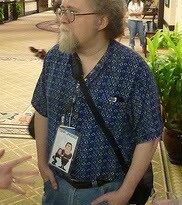 When it comes to geek fashion, one of my favorite subsets is subtle geek chic. In a way it’s a visual secret handshake with your fellow fans. People who aren’t familiar with it might just think it’s a cool outfit. People who are will spot you as their kindred from a mile away. You also may have heard I’m kind of/incredibly looking forward to The Force Awakens. With a desire to combine these two interests, I got a kick-in-the-rear to make it happen when the #Force4Fashion initiative was announced. 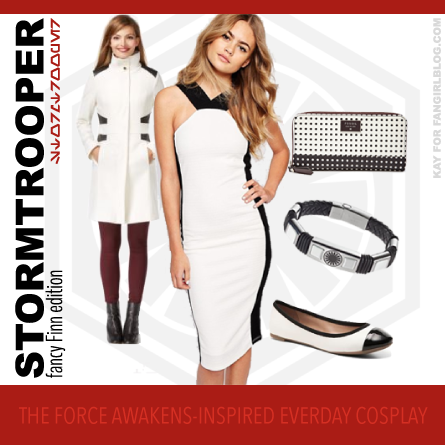 So in the countdown to Episode VII, I present to you: Everyday Cosplay Inspired by The Force Awakens. 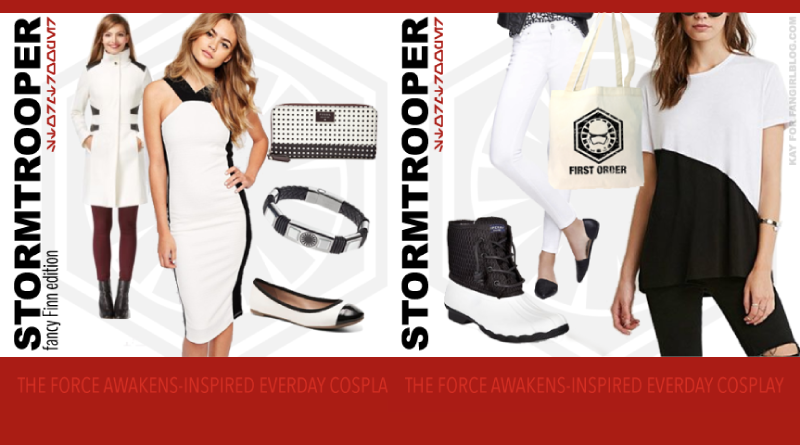 Today we begin with outfits encapsulating a First Order Stormtrooper. Whether you’re channeling an Imperial Stormtrooper or a First Order Stormtrooper, there’s a lot of the color white coming into play. 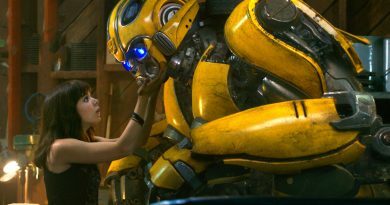 But it’s the black areas in between (thanks to the gaskets and the body suit that’s worn underneath the armor) that really provide contrast. Michael Kaplan’s designs for the troopers of Episode VII are much more slick than their predecessors. When I first saw one of the Snowtrooper costumes at Star Wars Celebration Anaheim, I overheard another fan ask his companion if that was an Apple logo on the armor. That modern, minimalism definitely shows up. Even in his Vanity Fair interview, Kaplan cited a “What would Apple do?” attitude. So it’s pretty easy to get the look with simple but bold black and white pieces. You don’t have to spend a ton to do it and you can find pieces that will work at a variety of retailers. The first look features clothing from Forever 21, Express, and Macys with the boots being the biggest investment at $120 (when they’re not on sale). I also threw in the Her Universe First Order/Resistance Tote as a small way to get a stormtrooper helmet in there. I’m calling this dressier look the Fancy Finn because you can channel a good guy as a stormtrooper too. It’s another example of if you want to look like an Episode VII stormtrooper, colorblocking is your friend. This time the pieces are from ASOS, Fossil, DSW, Kohls, and Macys. I even included a coat because for a lot of people it’s winter right now and we don’t have to stop embracing our fandom just because of some chilly air. The bracelet features a First Order symbol and even though it’s listed as a men’s jewelry piece, female Star Wars fans have never let that stop them before. In this case, it’s possible the size is what helped it end up with that label. 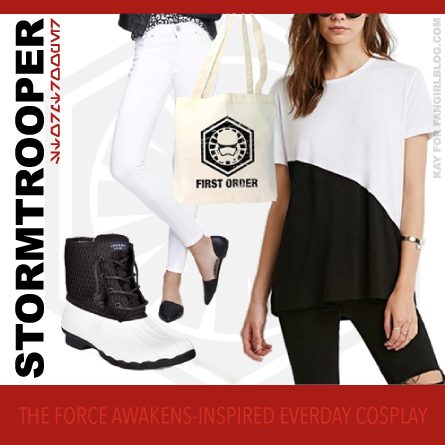 Several of these apparel items have sale pricing as of this posting, but feel free to use these as a jumping off point and make your Stormtrooper Everyday Cosplay look your own. If you put together a stormtrooper outfit, share it with us in the comments or on Twitter using #StarWarsEveryday. And stay tuned, there are more The Force Awakens-inspired looks coming.